In this episode, you will learn about the effects of sugar. 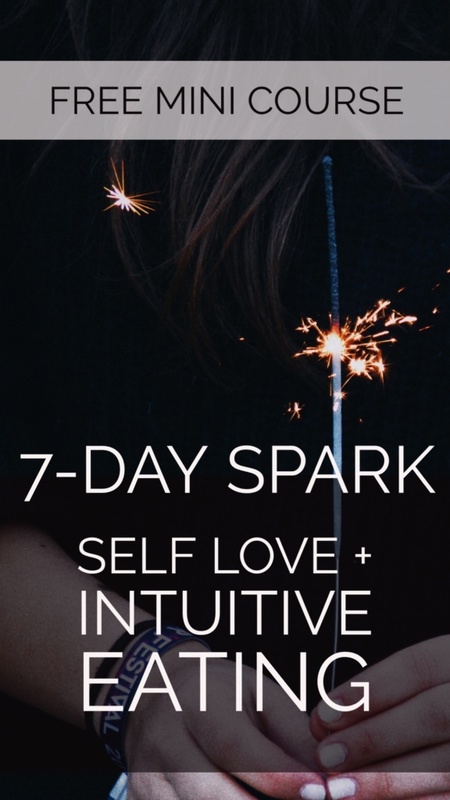 We are looking at what kind of effect does it have on the body, mind, energy, we will touch on cravings, and look at some simple and sustainable ways to shift that naturally. My intention with this post is kinda a big one - especially given the time frame we must adhere to. I want to permanently reframe how you think about sugar, notice I said think - and not how you use it. Most of us have a very complex and difficult relationship with sugar and that is completely normal. I want you to feel completely different, and I think you will when you understand how food affects your body. I have had so many people come up to me and say that now that they “know” how food can play a part in the way they feel every day, it's impossible to “unknow” it. What you eat changes things. And it's less about eating X is right and eating Y is wrong, but more about, eating X leads you in one direction and eating Y leads you in another. They are both decisions and both lead to consequences. f you decide not to make any changes, your life will go in one direction, and if you decide to make changes for better health and to get off the sugar roller-coaster, your life could be completely different, because we CAN have more energy, less pain, more mental clarity, and overall more happiness! When I reframed my relationship with food I was able to reduce the inflammation in my own body and reduce my weight by nearly 100 lbs. The number on the scale is not important, I love to help other people find the same kind of balance, wherever that leads them by tuning into their body’s innate biological wisdom to reduce inflammation through nutrition. My method is about getting a handle on what you eat and drink, not through willpower or discipline but by tuning into your body and understanding what causes those crazy, uncontrollable cravings and knowing that you can reduce them naturally over time. My method is not about deprivation. It’s about freedom – the freedom to eat foods you love and have sweetness in your life without the side effects or the guilt. It’s not what you eat some of the time; it’s what you eat most of the time that makes a difference. Ex. Helping a child with melting ice cream cone now and then won't make a big difference. It’s not about being perfect. As usual, but important to point out, today’s info is all backed by solid research. When we break it down in the simplest form, a sugar craving is the body asking for energy. When we give in to that craving - again this is not negative or positive, it just is. But when we give in to that craving, the sugar enters the bloodstream quite rapidly and sends the blood sugar level soaring. Often this will lead to excitability, nervous tension, and hyperactivity--and then it wears off pretty quickly, often causing fatigue and exhaustion maybe even slipping over into depression when the blood sugar bottoms out. There can even be an emotional roller coaster that accompanies this high, feeling happy and then suddenly finding ourselves feeling irritated and not quite ourselves. Your body, is a pretty amazing machine, and it works to maintain homeostasis or balance in everything, including blood sugar. So it sends you these moody signals and symptoms to tell you to eat something and bring that blood sugar back up. Many people who eat a regular noon-ish lunch probably get those signals right about 3 pm because the blood sugar is dropping by mid-afternoon. Here’s a question, what country is the biggest consumer of sweeteners in the whole wide world? I thought it would be France - ya know - somewhere famous for desserts! Nope. The good ‘ol U.S. of A. So the average American (and who’s average anyways but we must have a starting point) consumes 130 pounds of sugar and sweeteners each year. Just for fun a contrasting statistic is that the average American consumes about 5.6 lbs of broccoli a year. The USDA, now I don’t trust them as far as I could throw them, but we need a frame of reference so it's a good starting place. 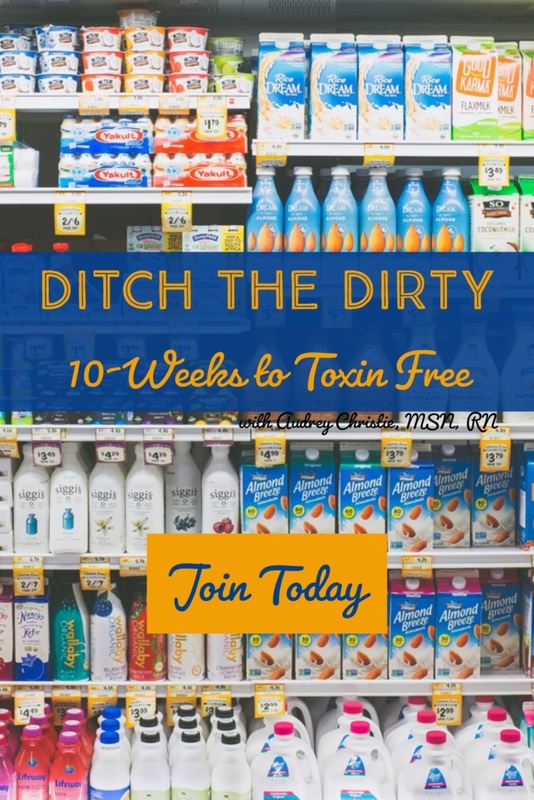 The USDA recommends we get no more than nine teaspoons (36g) per day, yet most of us eat about 30 teaspoons (120g) or more per day – and many consume more than that in a meal. That’s three times the liberal recommended daily value in a meal multiple times per day. It’s become popular off and on over the years to count the sugars that occur in different amounts in foods. Sugar occurs naturally in all foods containing carbohydrates, such as fruits, vegetables, dairy, and whole grains, these are called complex carbs. This is different than ingesting processed sugar and the body digests them differently. Most often when these are consumed as whole foods, since these foods also contain fiber and/or protein, your body digests them more slowly, resulting in a steady supply of glucose, or fuel, to your cells providing long-lasting energy. Once they become packaged or processed, food manufacturers use added sugars to lend their products flavor and appeal and to extend their shelf life, like soda, peanut butter, or packaged cookies. The simple sugars used for these packaged foods digest quickly, causing blood glucose spikes and crashes. 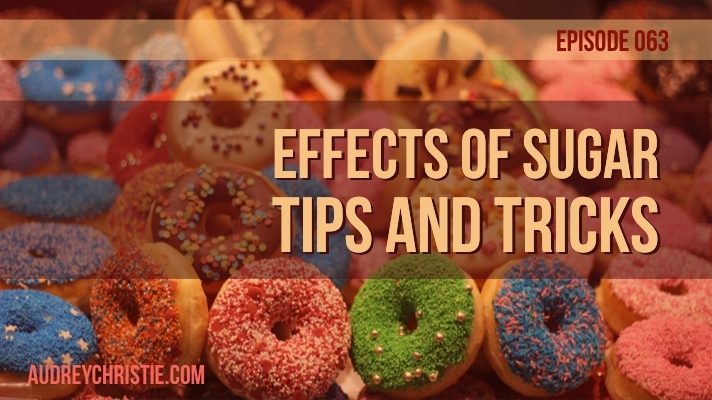 Simple sugars are the kind that leads to inflammation and even weight gain because our cells do not require large amounts of glucose at one time, and the extra sugar is stored as fat tissue. The entire process of eating, digestion, detoxification and nutrient absorption takes energy and nutrients for the process to happen. Yes, your body uses nutrients to process nutrients. Because sugar does not have nutrients that it's offering in return, the deficit is a negative in order to process that sugar once you consume it. It's not giving any benefit, only taking away from the resources you already have. If you don't have enough resources to process that sugar in your system at the ready, it pulls from your stores (think bones, etc.). It’s one of the reasons people say I am a miracle worker with migraines...usually can be fixed by rebalancing minerals with magnesium. I didn’t work a miracle I just introduced something to allow the body to come back to homeostasis. I know I know I lured you here by telling you that I wasn’t going to ask you to give up the sweet stuff. And I’m not. But I would like you to find better alternatives than processed sugar. This may sound impossible, but it is not. Avoiding or limiting sweetened coffee drinks, candy, cookies, and most desserts since some cravings come from foods that we have recently eaten. After one sip or bite, your body will want more. Anyone notice around the holidays your cravings for sweets increase after having more desserts than usual? If you are reaching for something sweet make smart swaps with natural sugars, coconut sugar, honey, pure maple syrup are much better (in moderation of course) than simple processed sugar. Maple syrup is the best both energetically and physically for most people. Honey hits the bloodstream a little faster than maple syrup. Recently I accepted a new type 2 diabetic client into my practice. She couldn’t figure out why she continued to have troubles with her blood sugar despite “doing it all right”. And then she revealed that she uses Splenda in her coffee all day long. Here’s the deal Artificial ingredients affect blood sugar levels and fat storage and are linked to other serious health problems. Research continues to show that these substitutes actually cause weight gain by stimulating your appetite and your body’s fat storage capabilities, even though they are touted as “diet” products. If you want sweetness, I recommend consuming real sweeteners like local wild honey, unprocessed stevia, 100% pure organic maple syrup and dates. Nearly 70% of the added sugar American’s eat comes from processed food such as bread, salad dressings, peanut butter, and pasta sauce. To avoid this sneaky sugar, limit processed food that comes in a package and focus on real nutrient dense foods. Even some so-called healthy foods contain sugar. A lemon poppy seed Cliff Bar has 21 grams of sugar or 5 teaspoons. Compare that to a chocolate-glazed cake donut from Dunkin Donuts, which has 14 grams of sugar, or 3 teaspoons. Sometimes I feel really bad - because its kind of impossible to tell what is nourishing for you and your family to eat and what is not. Sugar is often disguised in some oh-la-la fancy language (over 250 aliases), labeled as corn syrup, lactose, dextrose, maltose, glucose or fructose, anything ending with –ose is typically a sweetener, High-fructose corn syrup. So many people try to banish our cravings or ignore them… no!! Cravings are so important! They are our bodies are sending us messages through discomfort or food cravings and they just need to be decoded. Trust your body and listen to your cravings, treat them as your new BFF. We may crave certain foods such as sugar when we are dissatisfied with a relationship, feel bored, stressed, or uninspired. Do you need a hug, a pleasant walk, a glass of water, or an apple with almond butter? Listen to your body as it tells you what you actually need. Did you work too much in front of a computer? Not drink enough water? Too much wine? Cravings are messages that are too important for us to ignore. With some of my clients, they keep a craving journal; they rate their cravings from 1 to 10. And note their thoughts and type of craving they are having. The first step is awareness of these cravings and thinking about why we may be having them. This is one of the main facets of the Eating with Intention program, listening to your body. We feel and think differently when we eat meat, eat broccoli, drink coffee, alcohol or eat sugar. Right? Here’s the deal, our food goes into our stomach, and as it gets digested, it gets absorbed into our blood. Our blood is what creates our cells, our tissues, our organs, even our thoughts. Research and anecdotal experience with clients and patients both demonstrate that what we eat affects how we think and how we act. Stop and think for a moment about how you feel throughout the day. Do you sometimes feel like you have brain fog and tired after lunch? Angry and irritable between meals? Or maybe energized by a great meal? Crowd out the bad, by filling up on the good. Crowding out is one of the central concepts that was taught at the Institute of Integrative Nutrition, it means to add certain foods to your diet to crowd out the unhealthy cravings. An example is drinking more water and eating more greens to help control cravings. If you’re not used to drinking water regularly, try initially replacing just one of your other drinks (such as a sugary drink or coffee), with a glass of fresh water. Sometimes those cravings we are talking about are a sign of our body is starving for vitamins and minerals. Focus on adding one or two servings of vegetables at each meal. They will crowd out your cravings for unhealthy foods, just like that! You can even use sweeter tasting veggies and fruits to do it. Adding in more nourishing foods and water helps to crowd out the sugary foods! As I mentioned sometimes we eat and have cravings to fill emotional voids. There are a number of oil treatment methods to assist with this. Grapefruit, Cinnamon bark, Dill, peppermint Peace and Calming (or your brand's version of this), Lavender, your other citrus oils are all beneficial for this. They work to help curb emotional eating and help to balance blood sugar. These oils do much more than that but for these purposes that is what we are going to focus on. If you could only get 1-2 oils I would focus on Grapefruit and/or Cinnamon bark. You can whip these up in the diffuser or in inhalers or roller bottles. This can get tricky as it is different for everybody. The basics - omega 3s, probiotics, vitamin d… if you are type 2 or headed that direction then there are some herbal things you can add. Cinnamon: This warming and naturally sweet spice has been utilized for its medicinal properties for thousands of years. Loaded with antioxidants, anti-inflammatory properties, and polyphenols, cinnamon helps the body to fight oxidative damage and lower the risk of disease. Berberine is a really good one with lots of research backing its abilities helping with blood sugar I don’t recommend this for everyone - mostly diabetics but you really need professional help here if you are insulin dependent. Amethyst!!!! Lots of info out there on amethyst. It’s said to be the stone of releasing addictions - so if you feel like sugar is an addiction for you. This might be a good option. Interesting note - amethyst has documented usage in healing since 25,000 BC. It’s said to be the 9th stone in the breastplate of the high priest of Israel. Wearing it helps to promote inner balance and well being. Amazonite!!! It’s really powerful for people who have difficulty setting boundaries and aligning your actions to your words. Apatite!! Blue or Gold - blue is really helpful to help you understand the roots of physical imbalances. Golden apatite is stimulating to the endocrine system and improve overall energy levels, it also helps with digestion. Do any type of physical activity every day. Find movement or exercise’s you enjoy. Not only will your muscles thank you for it, but it will improve circulation, making you a little less tired. Physical inactivity has long been linked to a range of health conditions, and emerging research shows that sitting for long periods of time doesn’t just lead to a more prominent waistline, but can result in some severe illnesses. Energy creates more energy, so when you feel like you're about to fall asleep get up, take a walk, and get some sunlight. Set a timer, mark your calendar, and use bright post-it’s to remind yourself to move. With my clients, we experiment to see what works best for their personality. An easy start is to use a stand-up desk for part of your workday. Some other ideas could be to have walking meetings, Walk with a co-worker at lunch, or walk for two minutes every hour. Park farther from the entrance, Get off one stop earlier on bus or train. Stretch! You can join a studio near you, join me for my community yoga classes, or jump into our 21 day Yoga challenge in the Wellness circle! Lay off sugar by making some smart swaps for maple syrup, local raw honey, and other naturally sweet foods. Avoid the fake stuff - artificial sweeteners. Be a label reader and find the sneaky sugar. You can change the way you think and reframe your relationship with sugar and even avoid the nasty breakup and rebound.